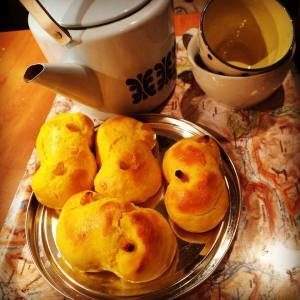 Saffron buns – Swedish Lussekatter! This is a typical pastry we make in Sweden in December. It belongs with dark snowy afternoons with candles and hot chocolate. 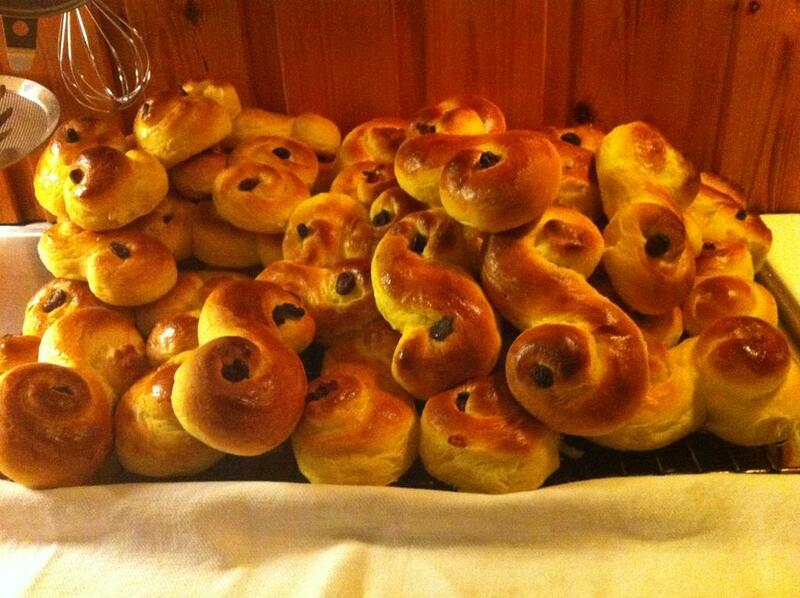 It can make me wish it was winter the whole year, just so I can eat lussekattter all the time! 1 Melt the butter and add the milk so the temperature get to 38 degrees. 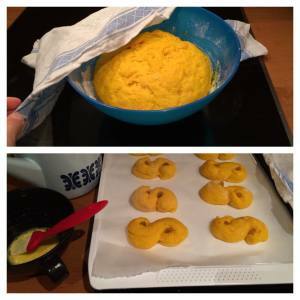 2 Add saffron, sugar, 1 egg, the yoghurt and yeast and stir. 3 Add the flour and salt and work the dough so it becomes smooth. Either in a machine or by hand. 4 cut the dough into 4 pieces and roll into an oblong shape and from there cut in in pieces and make the shape of a lussekatt! 7 Bake in the owen for 10-12 minutes. Next PostTränings säsongen har startat! Wow! They look really yummy! It’s nice see a young sportist women who enjoys cooking. My family and me are fan of you. My first son is born in Martinet, near from Lles and Cap del Rec, and hear of you while we were reading Kilian’s news. You are a beautiful couple. Go on and good luck!! Thanks for the recipe Emelie. Tried these at home and they turned out lovely. I’ve almost devoured the entire batch, now I need to run 90Km!!! These are so good; they are perfect energy for a winter ultra! 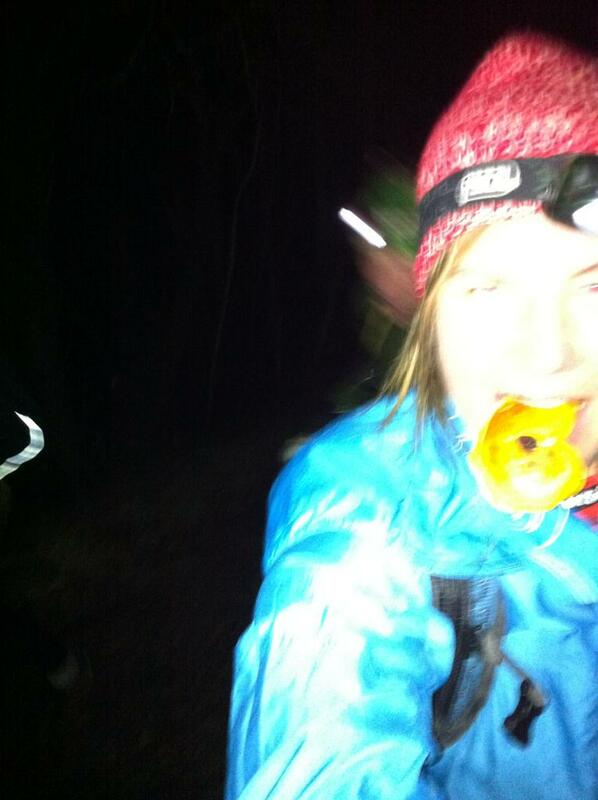 Hi, Emelie! I want to run a little winter race next weekend and I was thinking of baking your saffron buns. Could you, please, tell me how much flour will I need, in grams maybe, because I do not understand what does it mean 17-18 dl in your recipe. Thank you so much! using that conversion you can figure out how much it is needed !